Let’s say I could never touch type in azerty so why should I use the excuse of using dvorak to achieve it? I type with the french azerty or international dvorak layouts on my different machines (mostly linux, mac os and iOS on macbooks and thinkpads), sometimes with an external keyboard (HHK, apple and recently a borrowed type matrix). Regarding data and programs, syncing and switching between machines is not a big deal nowadays, thanks to VPN, ssh, git, syncthing&co, but switching keyboard layouts is not such a common practice. 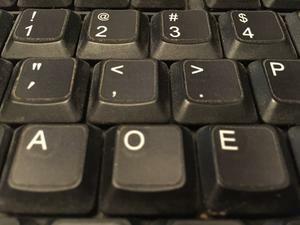 Most dvorak touch typists don’t really care about the letters painted on their keys as they don’t even give a look at it, and I have seen lots of them blindly using a classic qwerty or a even blank keycaps keyboard. As I mostly use dvorak, I prefer to convert my keyboard to reflect its layout. 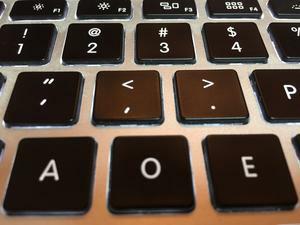 Apple qwerty can easily be converted to dvorak. Pop out the keys gently (top left first then pull up) and clip them back in place. 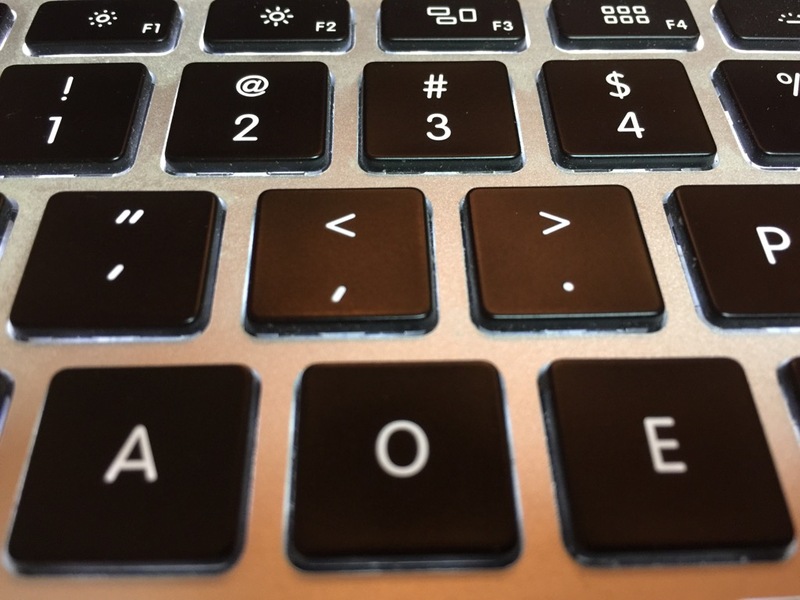 azerty and other layouts might encounter size and orientation problems. 2015 macbook might not work either. Software dvorak layout is available in mac os although I prefer linux Compose key to get accents and various regional special characters (compose key + '", then euc = éüç). I use Ukelele to mimick this behaviour. See attached keylayout file. Back in the days on my first x24 thinkpad, I have used stickers on an azerty keyboard. 7 or 8 years later, they are still in pretty good shape. This is a decent option but at first, it ruins the nice thinkpad keyboard feel, a little. Once the stickers wear a little, it gets hard to notice them. This is a dead end. iOS doesn’t like dvorak and it seems it’s going to stay this way. I don’t even how auto correct could work anyway. 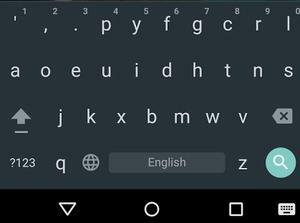 Some alternative keyboards such a “fleksy” have some support for dvorak, for free but at the price of giving it full access to what you type and have typed, including passwords. Not great enough.